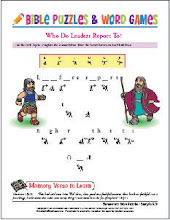 Looking for a fun midweek Bible Club program that uses the King James Version of the Bible? Look no further! All-Stars for Jesus Bible Clubs are the only Bible clubs for two-year-olds through sixth grade that are easy to teach, fun for kids, Bible based, and so flexible they can be used any time! God loves his children. He commanded parents to "train up a child in the way he should go" (Proverbs 22:6). We want each child to know that he or she is a star in Jesus' eyes, no matter what the child's skills and abilities. Jesus loves children just as they are. 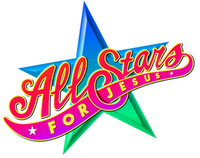 You and your kids will love the Multi-Use meetings, interactive activities, teacher-friendly lessons, KJV memory verses, optional awards program, and helpful resources that are all part of the All-Stars for Jesus Bible Clubs. Every part of each All-Stars for Jesus meeting relates to the Bible lesson and reinforces that week’s theme or memory verse. Throughout each quarter, suggestions are provided to help teachers present the salvation message to their students. We count it a privilege to partner with teachers and to provide you with the tools you need for the spiritual education of your students and their families. There is no greater calling than to teach children about Jesus!